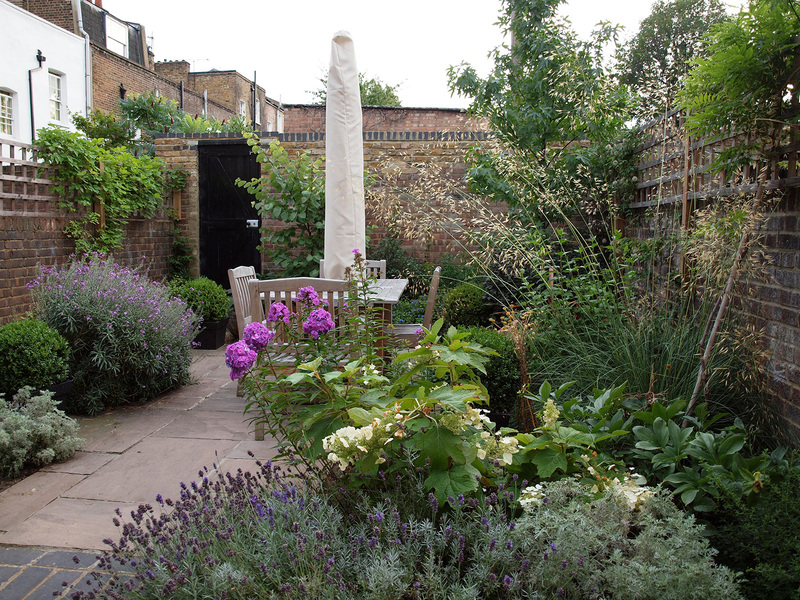 These urban gardens are individually designed but are similar in style. 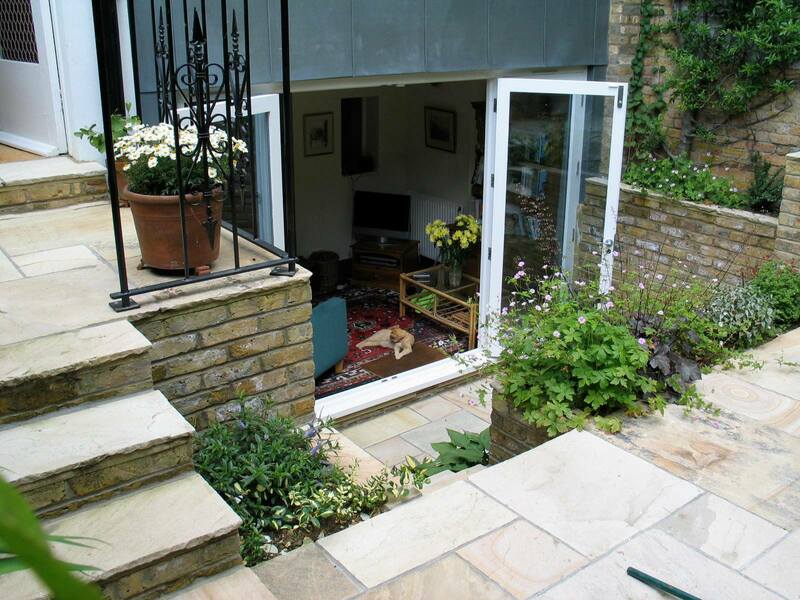 The plants and hard surfaces I have used combine to create a soft, traditional effect in order to remind their owners of the countryside and blur the "hard edges" of the urban environment. 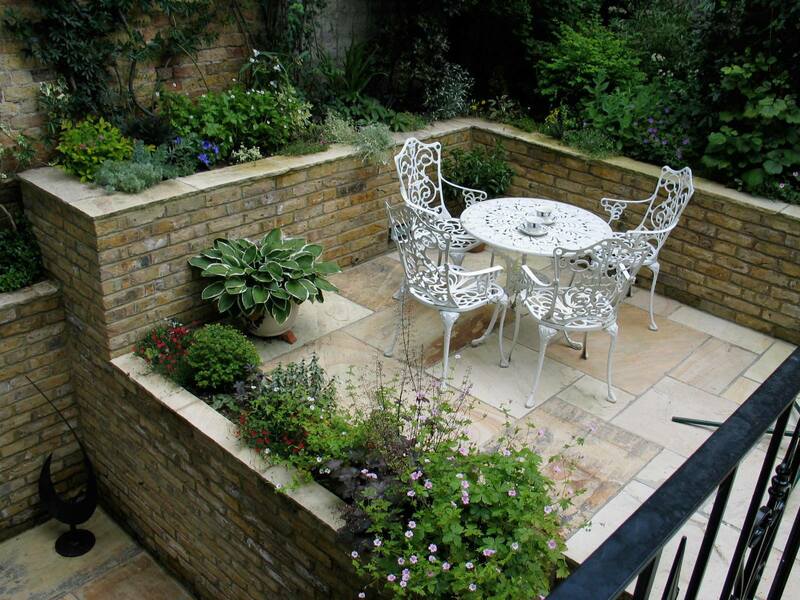 Walls and fences are screened with climbers to create private oases for relaxation and escape. 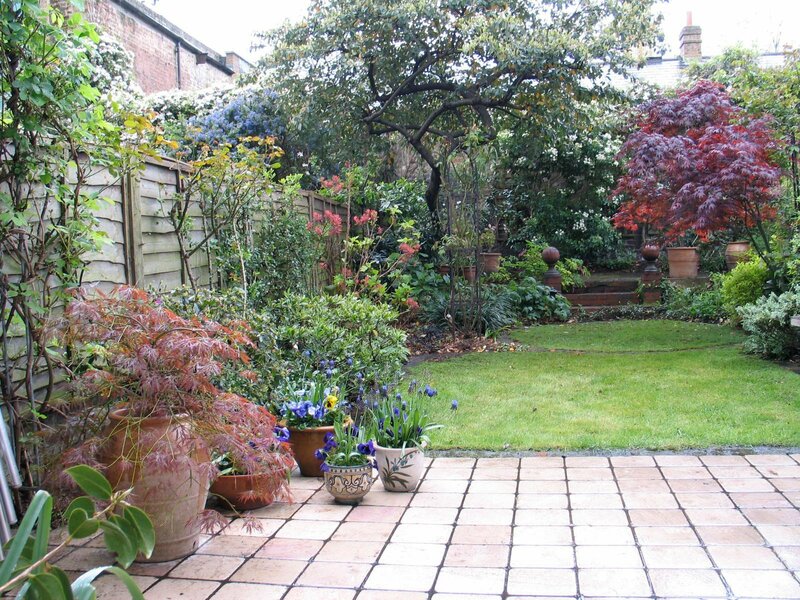 A private space combining patio and lawn and featuring low-maintenance all -year-round planting. Above and below: a sophisticated space in which to eat, read and relax. Very careful design was required to reconcile the different levels here. 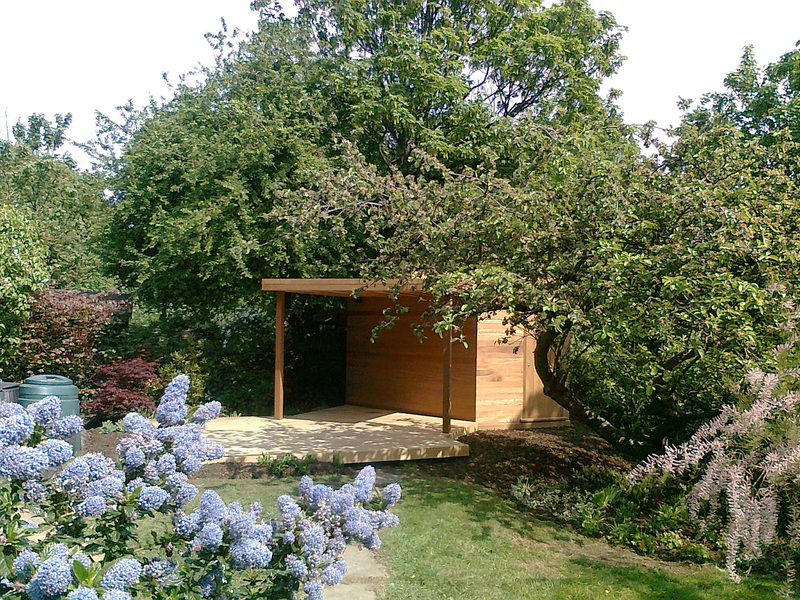 These clients wanted a sitting area, an awning and a good sized shed at the sunny end of their garden. This bespoke "supershed" fitted the bill. 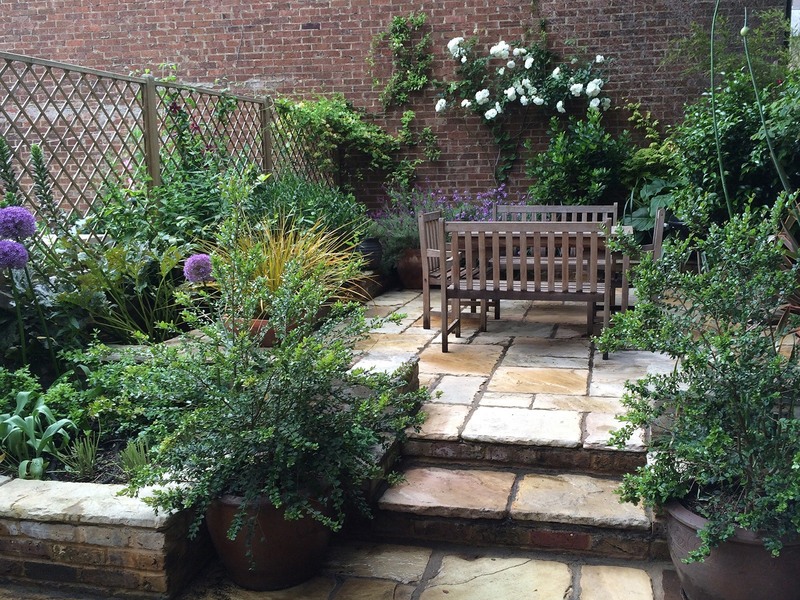 This sunny town garden was photographed in the first season after planting. Another oasis in the middle of the urban jungle.